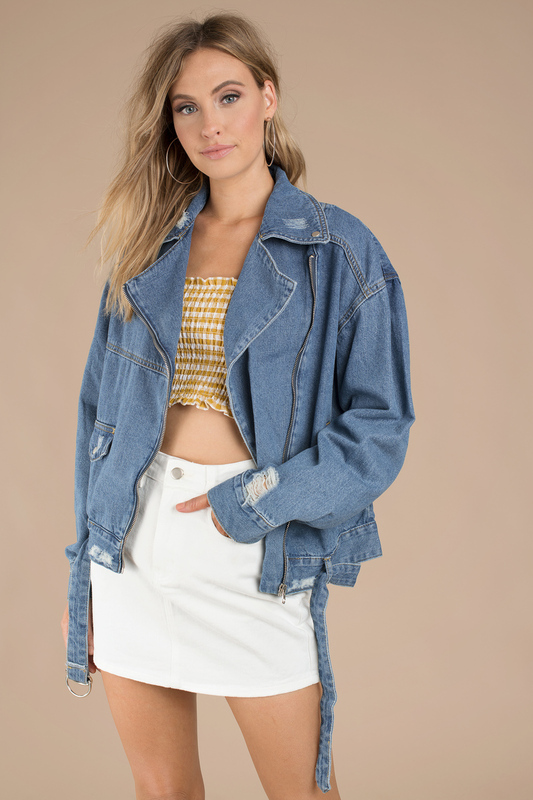 Check out Tobi's Demi Denim Moto Jacket Moto, meet denim. The classic biker jacket gets an update with the Medium Wash Demi Denim Moto Jacket. This zip up jacket features all the biker details you love, in frayed and distressed denim for a new season spin. 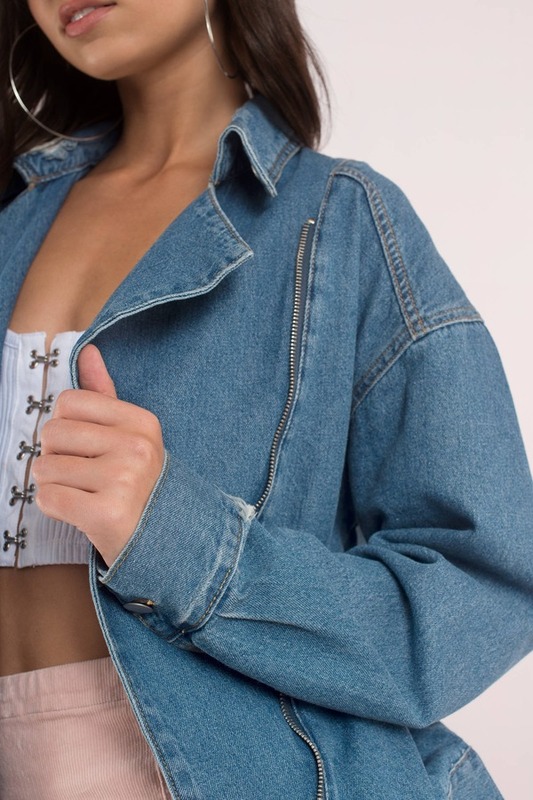 Turn around to show off the contrast stitching and patches on the back of this jean moto jacket. Moto, meet denim. The classic biker jacket gets an update with the Medium Wash Demi Denim Moto Jacket. This zip up jacket features all the biker details you love, in frayed and distressed denim for a new season spin. 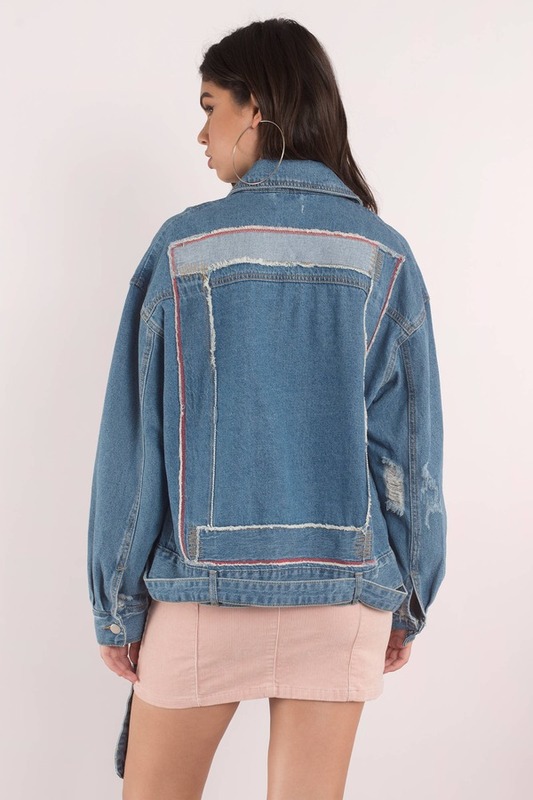 Turn around to show off the contrast stitching and patches on the back of this jean moto jacket. Model's profile: height 5'8.5", bust 32", waist 24", hips 34"